At last Wednesday's meeting we had 15 Members and our guest speaker Tom Smith, Membership District Chair. The 4 Way Test was read by John Haley. Providing vitamin A supplements during polio National Immunization Days has averted an estimated 1.5 million childhood deaths since 1998 – testimony to the “plus” in PolioPlus. The first service project of the first Rotary club of Chicago was installation of public toilets in the city. 2) Sunday September 11th is our annual outing to Hastings Park. Please note that this is an afternoon outing. Friends and Family are welcome. To find out the costs and info regarding the buffet go to : http://www.hastingsracecourse.com/silks/ Racing starts at 1.30 p.m.
3) Ron Suzuki made an announcement about how 12 schools are facing closure in Vancouver due to not meeting the required number of students signed up. He is fighting to keep Britannia school open since it provides many social services to the community. 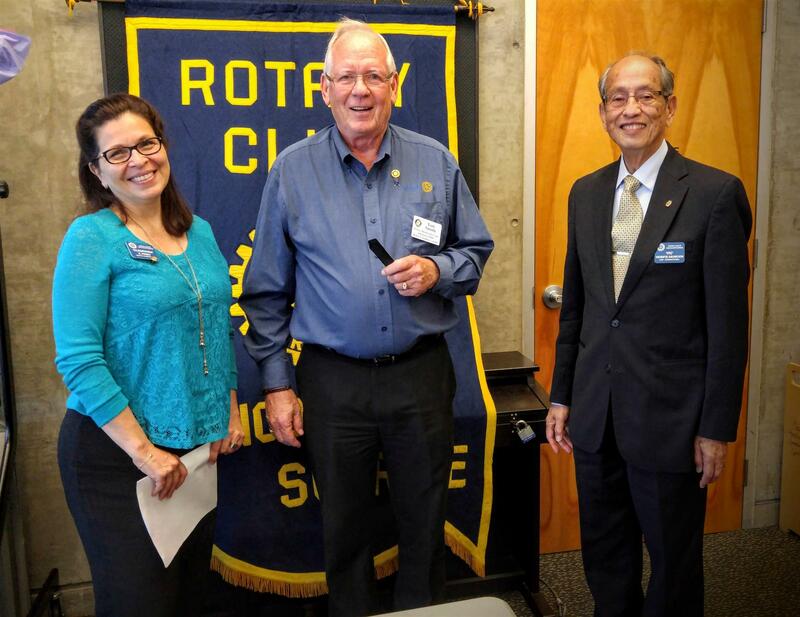 4) Ted is promoting the “ Rotarian save live-CPR/AED training and certification.” The session will be on October 15 near the Seabus terminal in North Vancouver. Please get in touch with Ted if you would be interested in attending. Guest Speaker - Our guest speaker today was Tom Smith, our Membership Chair for District 5040. He presented us the latest ideas about how to sell Rotary to attract and retain members. There is now a lead generation program in the Rotary International website. There will soon be a professionally produced video that we can all show to prospective members. There are 4 areas where we need to work to find new members: ethnic diversity, women, baby boomers and young professionals. When hosting fireside chats we need to cover the following topics: dues, attendance and mentoring. "Alone we can do little, together we can do much"